Sallie Krawcheck moves one step closer to the title….Does Vikram Pandit hate women? As people who have been following The New Agenda and our blog will know, one of our goals is to get more women into positions of leadership. But not only leadership in the political realm – we focus also on the corporate world and academia. 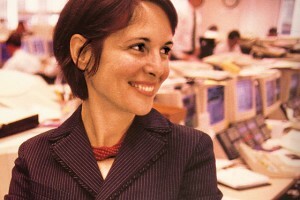 Last October I wrote a piece titled Wall Street Without its Top Three Women: Zoe Cruz, Erin Callan and Sallie Krawcheck. The piece highlighted how the three women who had the best hope of making it to the top – the title – the role of CEO, were all fired in an effort to lay blame during the financial crisis. And, after their respective departures, the stocks of Morgan Stanley, Lehman and Citigroup each took major dives. This week we have some happy news to report. 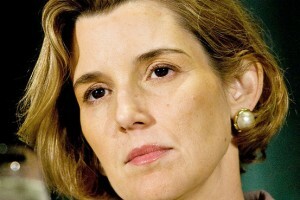 Sallie Krawcheck is back in the hunt! Sallie is joining Bank of America and she will be managing their Global Wealth and Investment Management Unit, which included much of what was Merrill Lynch. With her new role, Krawcheck is one of 5 possible candidates to take over the role of CEO of Bank of America when Kenneth Lewis steps down. She led Citigroup’s wealth-management group before stepping down late last year following months of tension with Chief Executive Vikram Pandit. Here’s a little insight on Vikram Pandit. He doesn’t know how to work well with women. Zoe Cruz rose to the title of Co-President at Morgan Stanley under Phi Purcell. When John Mack reassumed control of Morgan Stanley, he tried to get some of the veterans who had left under Purcell’s reign to return. Vikram Pandit’s condition of return was that Mack get rid of Zoe Cruz – Mack refused and so Pandit decided to go to Citigroup. For the record, I worked under Zoe Cruz and featured her in a piece about women who help women – she always looked out for the women at Morgan Stanley – she is a true heroine. More recently, Vikram Pandit has been butting heads with FDIC Chairwoman Shelia Bair. This has been well publicized as he speaks out against her and has refused to cooperate with her or her agency despite Citigroup’s horrific performance and it’s standing as one of the biggest users of our taxpayer money as a bailout. I will add as a final note, that while all of the major banks seem to have lifted themselves up again, Citigroup has not. The stocks of some of these companies are up 50-100% so far this year. Citigroup’s stock sits around $3. Pandit has done a terrible job as CEO. Perhaps one of the reasons is his inability to attract, retain, respect and work with the women of this country.